All available heel heights and sizing. Party Party Competition and signature series shoe heel heights. Most available heel heights are posted. Please contact me if you have any questions or would like to check availability. (toll free) 877-883-2109. Classic shoe heel heights. Available heel heights are posted. Please contact me for any questions or to place phone orders. (877) 883-2109 Toll Free. Special orders take 4-6 weeks. 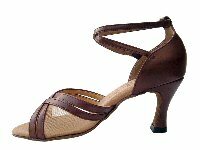 If your heel height preference is not available it can be special ordered for an addetional $20.00. 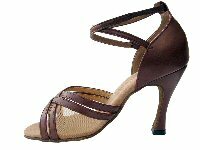 I can special order any size, color or heel height to meet your specific needs. 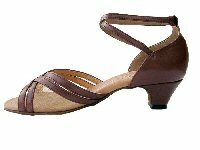 Competition shoes are VERY important so order yours now so you have plenty of time to practice in them and form them perfectly to your feet. 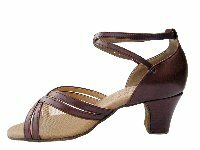 Look and feel your best out there and become a champion in my new Party Party competition shoes. 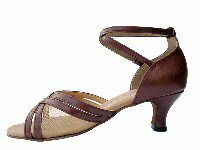 Sizes: All shoes from Latin Dance Store.com are available in USA sizes. When ordering, we ask your USA street size only. We are pleased to provide these shoe size charts which give the approximate equivalent UK, European, Japanese and USA shoes sizes. If you don't see your size here, please call us toll free at 1-877-883-2109. We will be glad to help you.